I've had a love affair with all things French since forever, including but not limited to: Paris in the spring time, the south in summer, croissants, champagne, and Collette (R.I.P.). But I truly live for French-girl beauty—don't we all? Jeanne Damas, Caroline de Maigret and Violette are the first to pop up in my Stories on the 'gram—the algorithm knows I obsessively covet what beauty products they're wearing or, as the case may be, not wearing. There's a simplicity about the French approach, and it's this same less-is-more sensibility upon which I built my own brand, TOMBOY Beauty. Although I try, I don't think I could ever completely internalise the beauty mentality of a Parisienne. . . because I'm not French! 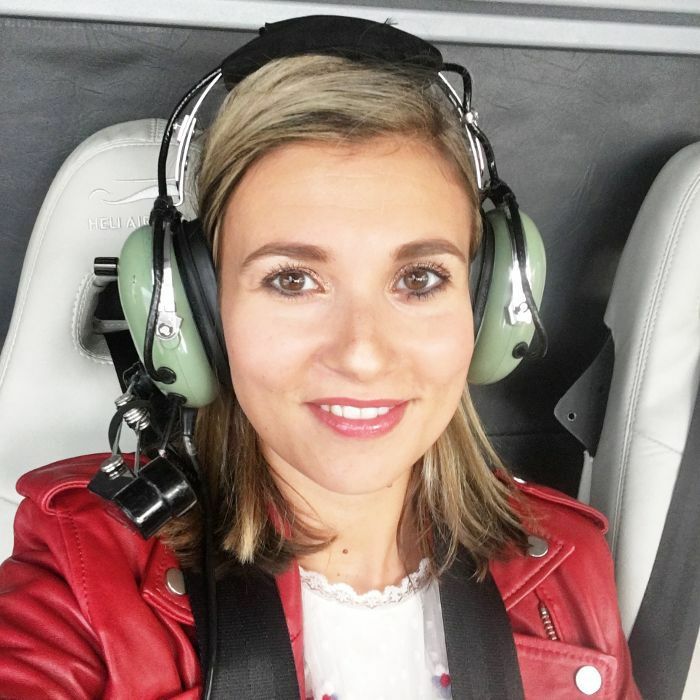 But Emilie Roberson is, and while spending a week with her in Cannes as a guest of Bioderma and on behalf of Byrdie Australia's INF / Network, I soaked up as much of her beauty and style hints as possible. She shares that je ne sais quoi with the aforementioned French beauties, and because I can't put my finger on how to get it myself, I quizzed her extensively. Emilie’s thoughtful, considered answers offer up so many great nuggets of beauty wisdom, but the overarching theme is simple: look after yourself and your skin—makeup optional. Describe your beauty and style in three words? My approach to beauty is less is more. Invest in skincare and adopt a healthy lifestyle. Makeup comes after, to enhance your natural beauty. I was taught from a young age to look after my skin. The basis of all French skincare regimes is hydration, it is the first beauty gesture we learn. Skin that is fully hydrated is better protected to resist external factors and the signs of ageing. I used to love my mum's summer rituals on holiday in Corsica. After spending the day at the beach, she would let me use her blue eye drops from Innoxa to soothe the eyes after too much sun exposure, and her Nuxe Dry Oil for a golden shimmer. I loved the scent and the glow, I felt very grown up and sophisticated at the time! My first mascara was Maybelline Great Lash, the pink and green tube, all my friends had it, too. Since a young age I wanted to work in the beauty industry. My mum has a beauty cabinet that would make any #shelfie queen very jealous. After completing my Masters in marketing and management, I got an opportunity to work for Bioderma in France at the head office. I quickly loved discovering the derma-cosmetics world—a foot in beauty and a foot in dermatology. Working in marketing, it was great to be able to rely on clinical evidence and not just on pretty packaging. 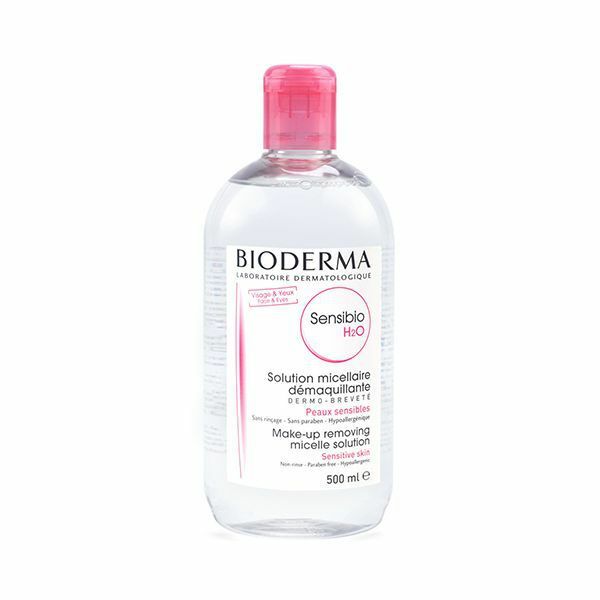 Bioderma Sensibio H2O—I have been using it religiously for over 10 years. It is a gentle cleanser and the most efficient makeup remover I have tried. I feel that we all invest in a lot of serums or moisturisers, but a good cleanser is the base for healthy skin. I also love the cult Estee Lauder Advanced Night Repair, winter through summer it is part of my routine. Do you stick to one skincare routine or do you like to experiment? I do tend to stick to a skincare routine but change products depending on the season. For example, I always cleanse my face with a micellar water, but I use a more hydrating one in winter. I also use more brightening or vitamin C products during the colder months when my skin is not exposed to the sun. 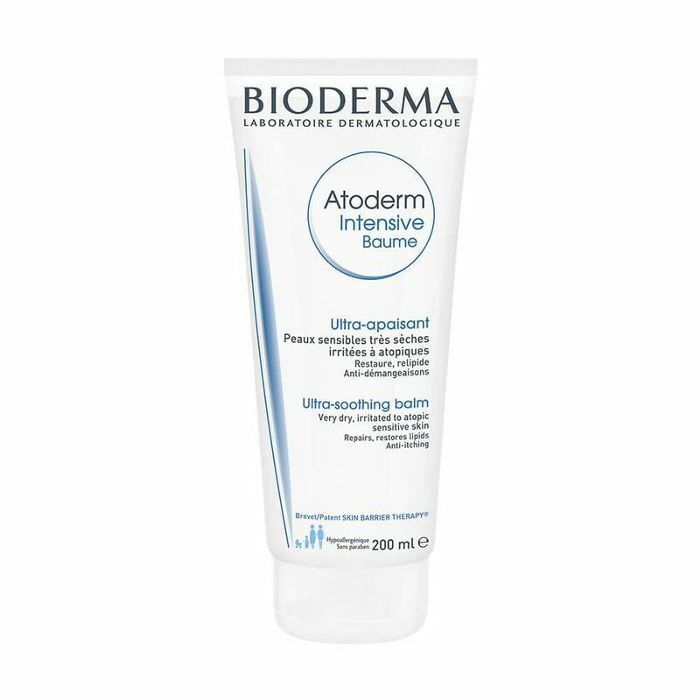 In the morning after showering, I apply Bioderma Atoderm Intensive Baume all over my body. It is the best for combating itchiness and keeps your skin hydrated all day. I am also a big believer in body serums that target cellulite and smooth the skin texture; Somatoline Anti Cellulite is a bestseller in France and really great. 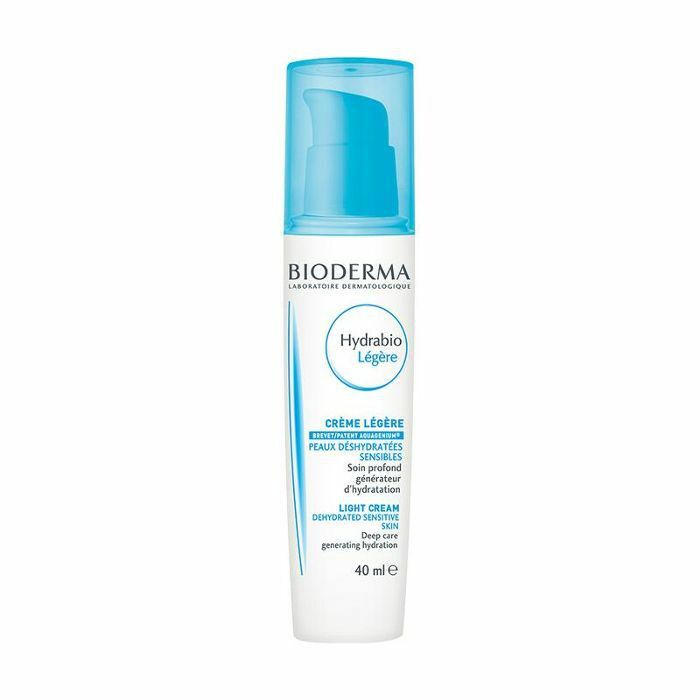 On my face, I clean and wake-up my skin with Bioderma Hydrabio Toner, a gentle toning lotion quenched with niacinamide which instantly boosts my skin's radiance. I follow with Nuxe Nuxellence Serum, an anti-ageing serum that regenerates the battery of the skin cells and offers instant radiance thanks to its light reflecting pigment. Depending on my mood, I will apply Caudalie Vinoperfect Serum to targets brown spots and acne scars, or Hydrabio Light cream which instantly hydrates and protects my skin for the day. 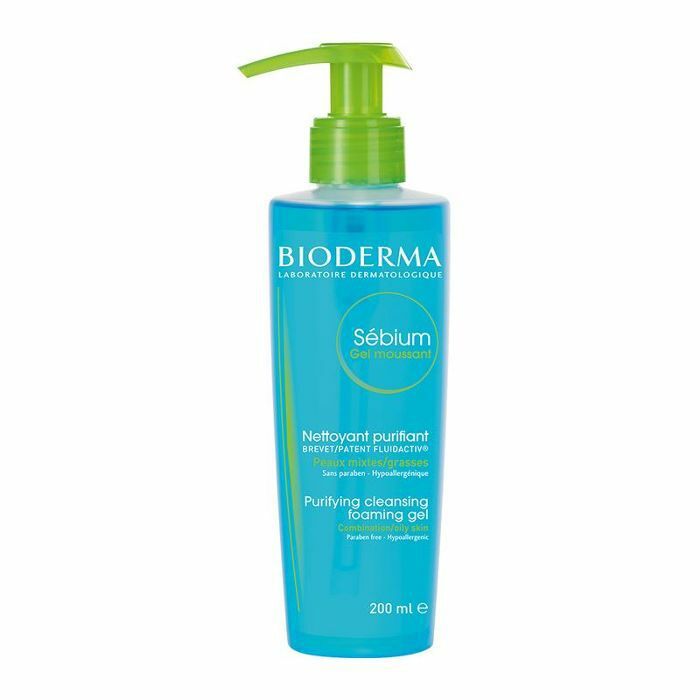 At night, I remove my make-up with Bioderma Sensibio H2O, then double cleanse with Sebium Foaming Gel, which is perfect for combination skin and helps keep my skin clear. Then I apply Estee Lauder Advanced Night Repair Serum. It instantly brings comfort to my skin and I love its light texture. In winter I'll even mix some drops in my foundation. Then I follow with The Ordinary Zinc and Niacinamide Serum or vitamin C. I am about to start Isispharma Glyco A 12%, a micro peel that can be used twice a week. Before going to bed I apply a thick layer of Nuxe Reve de Miel Lip Balm or Uriage Bariederm Lip Balm, both are very repairing for my fragile lips. Do you think French and Australian women share similar beauty ideals? I would say there are few main differences. French women are more about skincare, the beauty of the skin itself. They try to [achieve] a simple, effortless look, even if [a lot of] effort has been put into it! They are not so keen on false nails, lashes extensions and fake tan. It is more about enhancing what you already have. Makeup comes second and it is quite subtle, except the lips—red lips are still a trend! French women are also sun lovers, though the sun in Europe is also a lot milder so having a healthy tan is common and everyone in winter is just a little paler. Body products are a big category in France which I feel is not so developed here. I would say Australian women tend to follow the beauty trends more, embracing all the new styles and changes in the industry. They're more in touch with Asia and America. French women are a little more conservative and tend to stick to their routine, what their mum taught them or a friend recommended. Lastly, can you tell us your best French beauty secret? I think more than adopting a good skin regimen, it is to have a healthy diet. No matter how good or expensive your makeup or skincare is, if you don't look after what you are eating, your skin will show the signs.